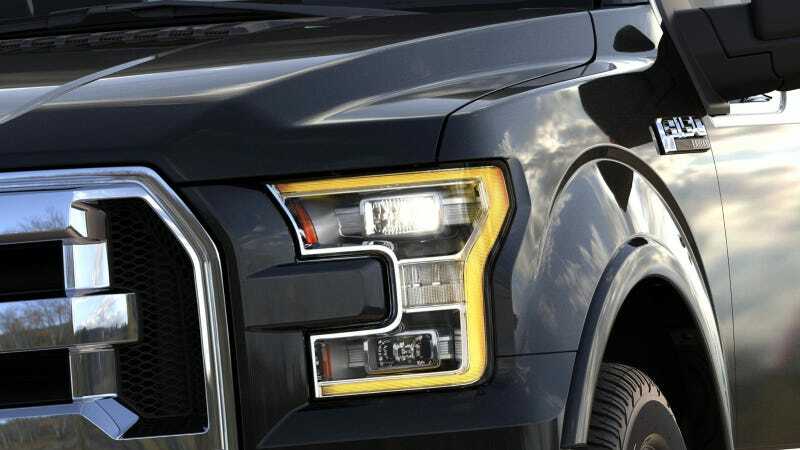 The New England Motor Press Association just bestowed the "Yankee Cup" award on the 2015 Ford F-150, reckoning it's "tougher, smarter and more capable," based on information that could only have come from Ford & Friends. Which only begs the question; what's the point of that? "The Yankee Cup is a technology award recognizing an automotive feature, system or vehicle that significantly makes driving safer, more cost efficient or more enjoyable." Ok, cool. But if you're not going to independently verify that these features, systems, or vehicles actually work this is just an award for hypothetically awesome ideas. Not to say Ford isn't going to great-lengths to field-test their new truck. Between the clandestine long-term commercial testing and Baja 1000, entry the Blue Oval has obviously put 2015 F-150's tech through some taxing in-house tests. It's also true that the new F-150 does appear to have gone though a bigger generational evolution than its predecessors. If a third-party is going to make a claim on the "capability" of this machine, they've got to find it out for themselves. I'd argue the truck market is one of the most focused on capability of any vehicle segment— regardless of whether or not buyers end up using that capability. Sidestepping a real, independent evaluation and giving the F-150 a gold star based on what the brochure says feels like an insult to everybody who's shopping for a truck and relies on professionals to shakedown the latest hardware. "When reviewing all the entries for the Yankee Cup, we couldn't help but notice the F-150 is loaded with innovation," said Craig Fitzgerald, New England Motor Press Association president. "We all know this vehicle is Built Ford Tough, but now it is both tough and smart – helping to redefine the light-duty pickup for the next generation." Did they drive the thing or read and then cut-n-paste the radio-spot script? Because it sure sounds like the latter. The 2015 Ford F-150 is breaking new ground for pickup trucks like whoa with the aluminum body construction and tiny turbo engine. We know it's new truck alright, but nobody should be claiming it's got award-worthy capability until they personally wring it out.